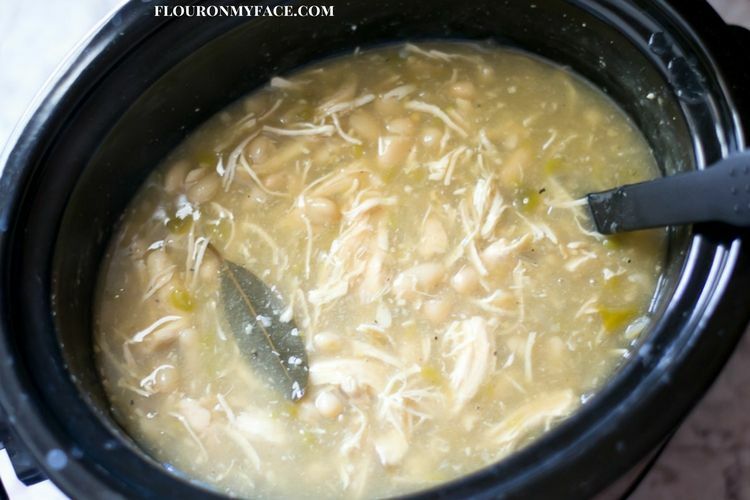 My favorite crock pot recipes are always crock pot chicken recipes like this Crock Pot White Chicken Chili recipe. 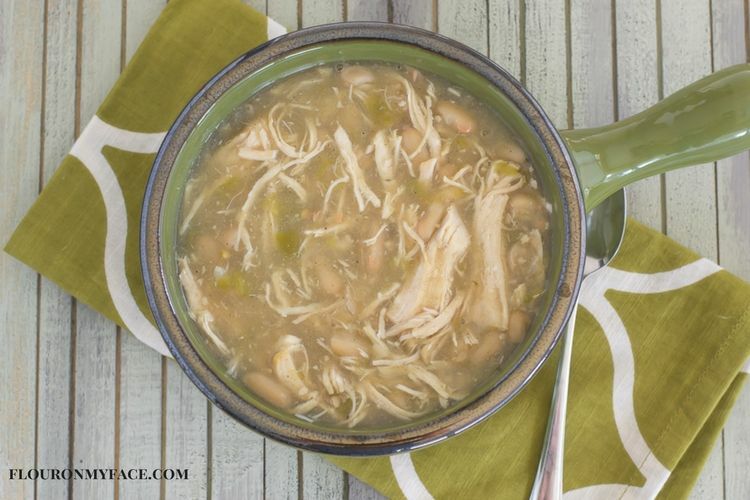 So many of my favorite flavors are in one bowl of this Crock Pot White Chicken Chili. I, of course, love the flavor of the tender chicken from cooking it in a crock pot but, I also love the hot green chilies and white beans. White beans are my favorite. Great northern beans and cannellini beans are in this recipe but you could use all great northern beans if that’s all you have. My favorite part of eating a big bowl of any (affiliate link) crock pot chili recipe is the topping I like to add to my bowl. I absolutely love the flavor of green salsa. And even though I have made homemade tomotillo salsa I still buy Taco Bell Salsa Verde Salsa at the grocery store. I love it so much that I buy it in bulk when it goes on sale. I seriously have two bottles in the fridge and 4 bottles in the pantry. I put it on all my Mexican food and have even been known to pour it over a sliced avocado covered in sour cream. Oh my, that is heaven. Place the first 9 ingredients into a 4 quart crock pot slow cooker. Cook on high for 2 hours or until the chicken is cooked through. Remove the chicken from the crock pot and pull apart and return to the crock pot. Add the beans to the crock pot. Mix the cornstarch with the cool water and stir into the crock pot. Cover the crock pot and cook for an hour longer or until it has thickened. Serve with cooked rice and your favorite chili toppings. 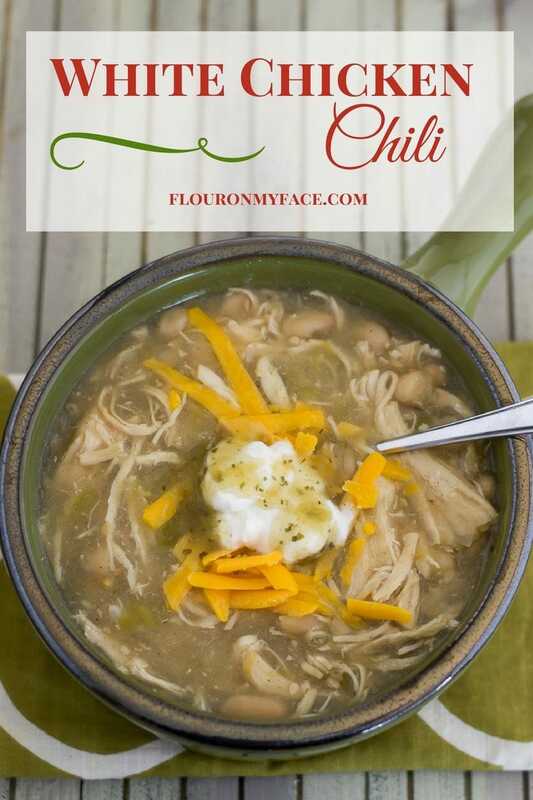 Love chicken chili then you will fall in love with this easy and oh so delicious Crock Pot White Chicken Chili recipe. 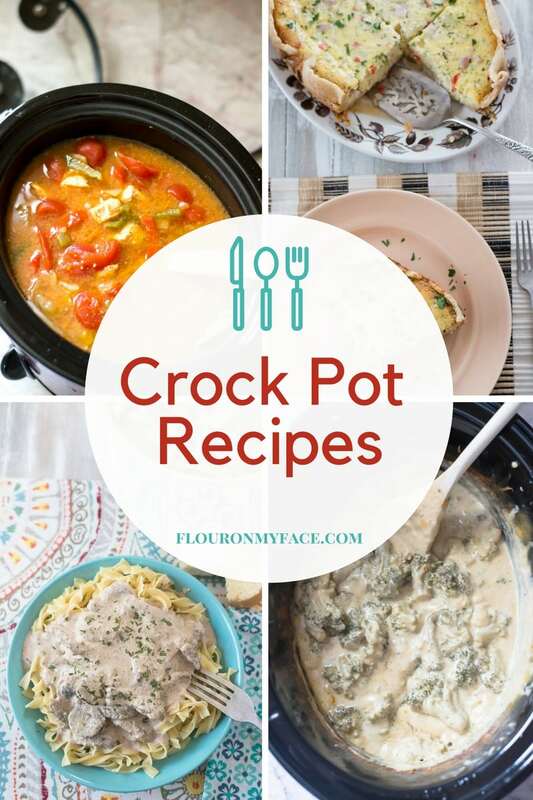 Do you love Crock Pot Slow Cooker Recipes? Then I have some news for you. You can find over 100 crock pot slow cooker recipes on my Crock Pot Recipe Page. I update it regularly with all my new crock pot recipes. Head over and check them out!